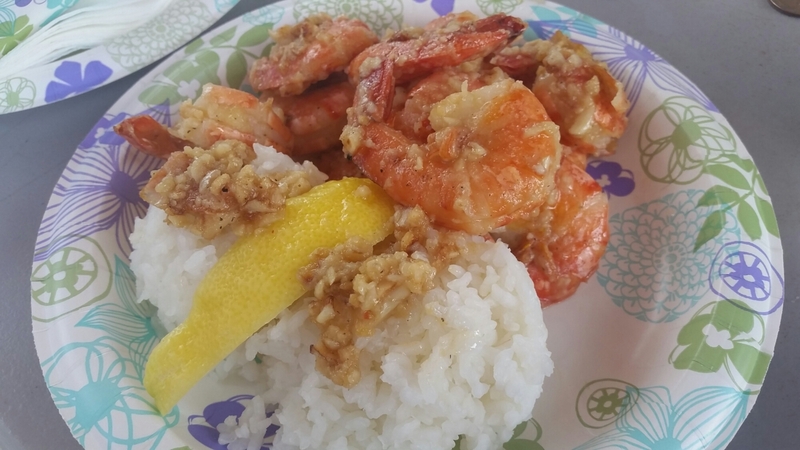 It was great to experience all the wonderful food around the island; succulent garlic shrimp at a North Shore food truck, sweet cream puffs at a local bakery in Waikiki, and of course the famous food at the Rainbow Drive-in. 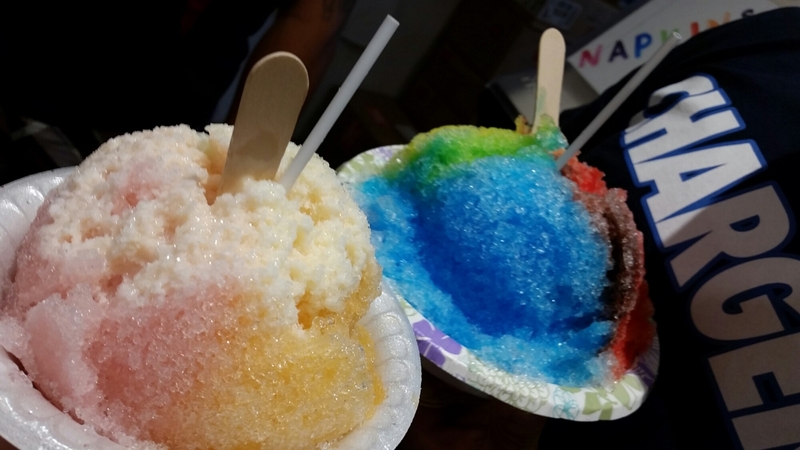 When I was at North Shore for some shark diving, we had to stop by the famous Giovannis shrimp truck and Matsumoto’s shaved ice. The shaved ice was a welcome sweet treat. I loved that you were able to add 3 different kinds of flavors, red beans, and evaporated milk. Which is exactly what I did! It was better than I expected; especially for a place that’s packed with tourists. 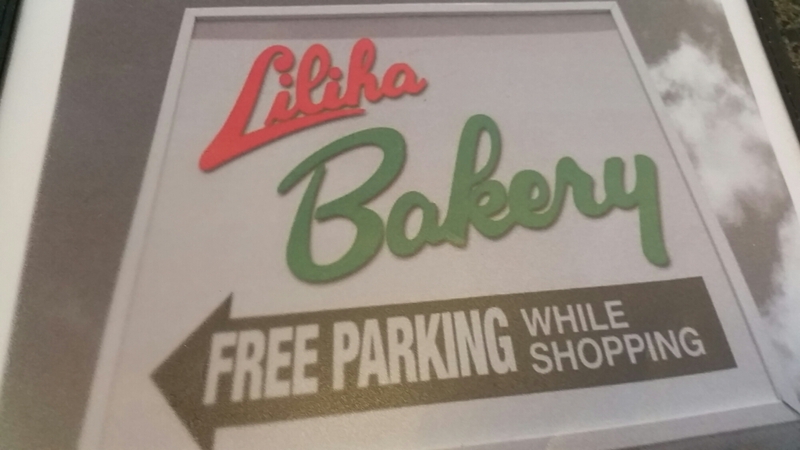 Hands down, one of my favorite places we went was a local bakery and small diner called Liliha’s. 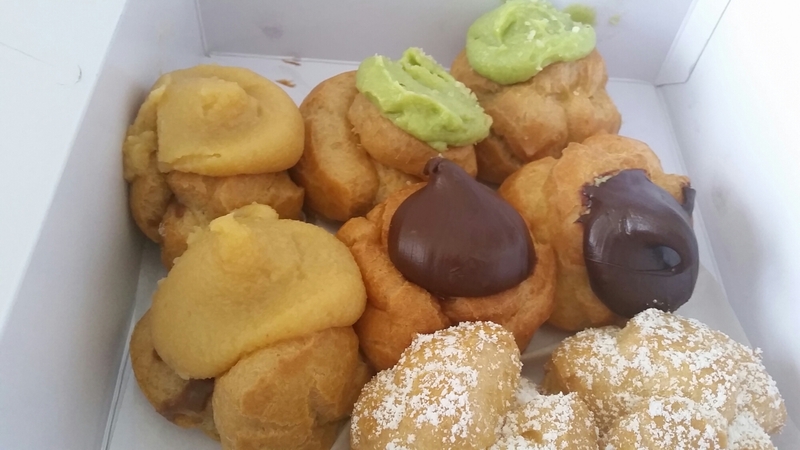 They had these amazing, creamy, and sweet, green tea filled cream puffs. Oh how wish I could get my hands on them here!! Their diner food was great too. It was only a counter which sat maybe 20 people or so, but it was always packed. They had the best mac salad there; it tasted lovingly home made. Also their warm butter rolls with the atomic jelly were out of this world! 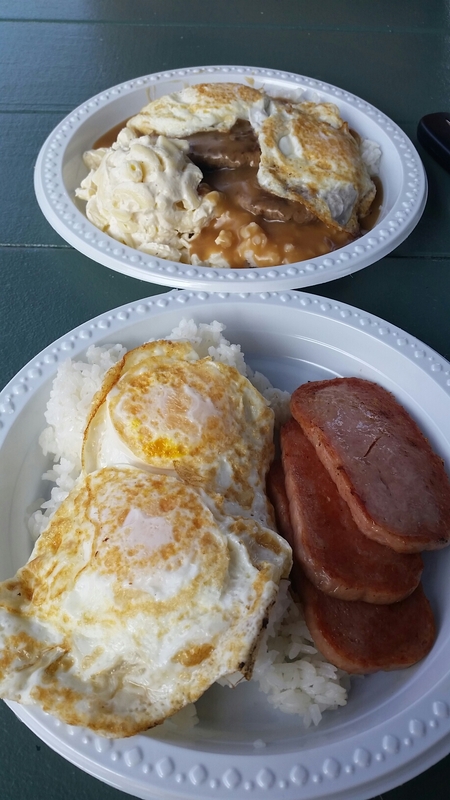 One of the things Hawaii is known for are their enormous plates of food and spam. Of course a few days out of the week I had to indulge. 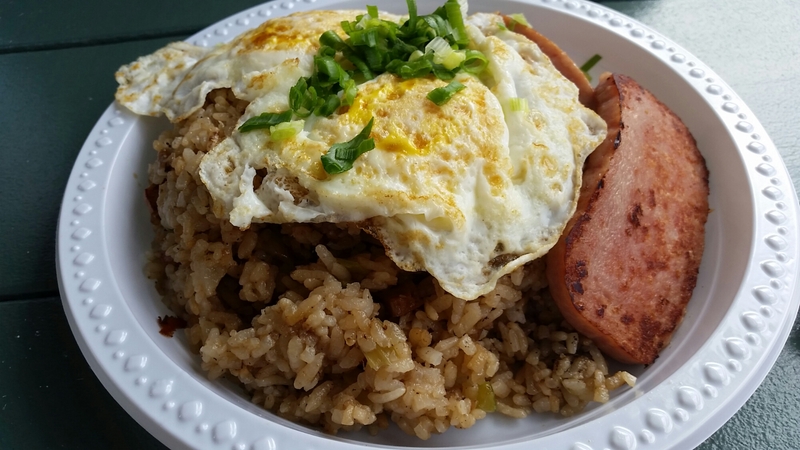 I had some morning spam, eggs, and rice at the Rainbow Drive-in a couple of times. 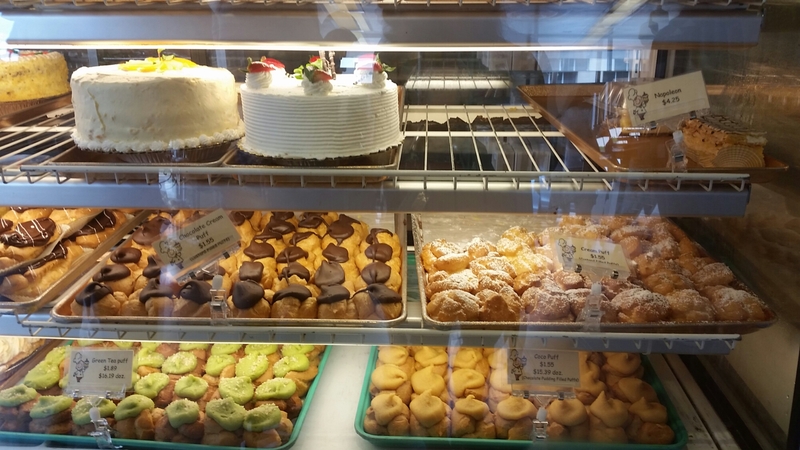 Everything was really good in Hawaii, and there are some things I still crave. If I’m lucky enough, hopefully I’ll be able to come back and experience more food.